Medical Licensing and Discipline in America traces the evolution of the U.S. medical licensing system from its historical antecedents in the 18th and 19th century to its modern structure. David A. Johnson and Humayun J. Chaudhry provide an organizational history of the Federation of State Medical Boards within the broader context of the development of America’s state-based system. As the national organization representing the interests of the individual state medical boards, the Federation has been at the forefront of developments in licensing, discipline, and regulation impacting the medical profession, medical education, and health policy within the United States. The narrative shifts between micro- and macro-level developments in the evolution of America’s medical licensing system, blending national context with state-specific and Federation initiatives. 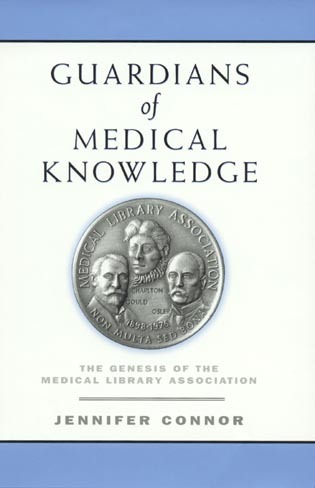 For example, the book documents such milestones as the national shift toward greater public accountability by state medical boards as evidenced by California’s inclusion of public members on its medical board, New Mexico’s requirement for continuing medical education by physicians as a condition for license renewal and the Federation’s policy development work advocating for both initiatives among all state medical boards. David A. Johnson holds a graduate degree in History from the University of Texas-Arlington and serves as the Vice President for Assessment Services at the Federation of State Medical Boards. Humayun J. Chaudhry is a general internist and President and CEO of the Federation of State Medical Boards. He holds a graduate degree in Health Care Management from Harvard University. Message from FSMB Chairman, Lance Talmage, M.D. 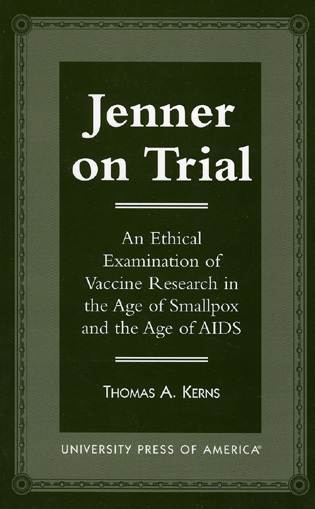 Historians of medicine who wish to engage with the past century of licensing regulation will find this a useful volume. Medical Licensing and Discipline in America is a superb book—insightful, well documented, and eminently readable. 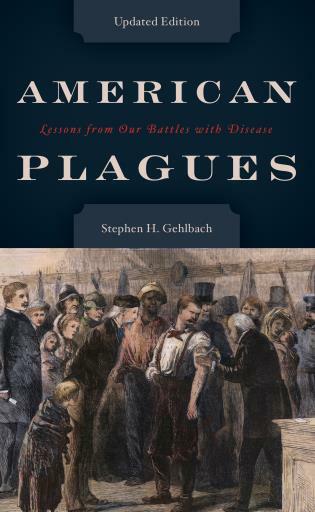 It interprets its subject within a rich medical, cultural, historical, and political context. 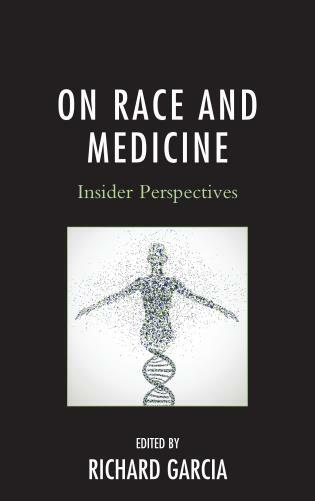 I highly recommend it to anyone even casually interested in medical education. 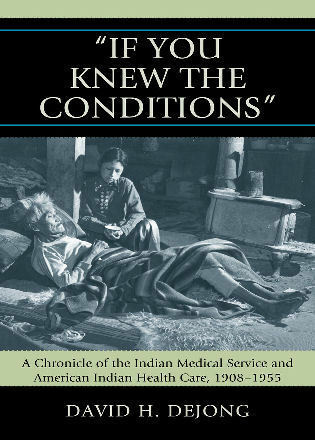 Johnson’s and Chaudhry’s timely and readable account of the history of the Federation of State Medical Boards from its inception in 1912 to the present goes far beyond what one might expect from a commemorative, centennial edition. In relating the Federation’s role in the evolution of medical regulation, Johnson and Chaudhry provide detailed evidence to challenge the claims and perceptions of policy-makers, analysts, researchers, and commentators that state medical boards have been largely ineffective in protecting the public from incompetent and unscrupulous physicians. I enjoyed this well documented and well written success story. Men and women who dedicated time and talent to medical licensing boards will appreciate this unique fragment of medical history. A highly valuable contribution to the literature on American medical licensure and regulation. Johnson and Chaudhry have painted a comprehensive historical portrait of the Federation—warts and all. A remarkable achievement. 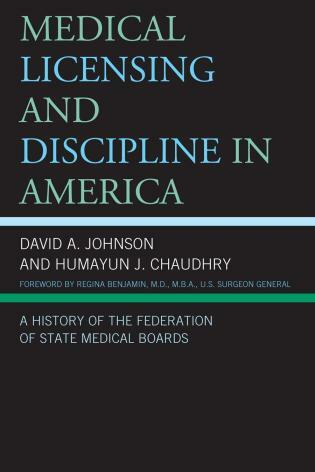 In Medical Licensing and Discipline in America, Chaudhry and Johnson have comprehensively captured the rich history and ongoing evolution of physician licensure in the United States. This volume will serve as a valuable resource both to the medical licensing community and to leaders within the profession itself. 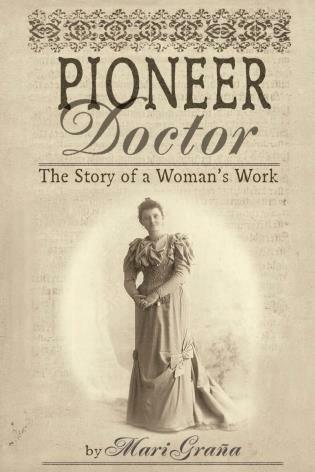 This compelling story—how the medical profession has supported and encouraged the state to regulate it, moving from a focus on quacks and frauds to today’s focus on accountability for continuous professional development and improvement—provides a remarkable example of a profession committed to self-regulation bolstered by legally mandated accountability to the public. Comprehensive and authoritative, it follows the development of medical licensure from its 19th-century roots to today’s broad system of professional accountability. I found it enjoyably readable, an important contributor to understanding the fabric of professional regulation in the United States. 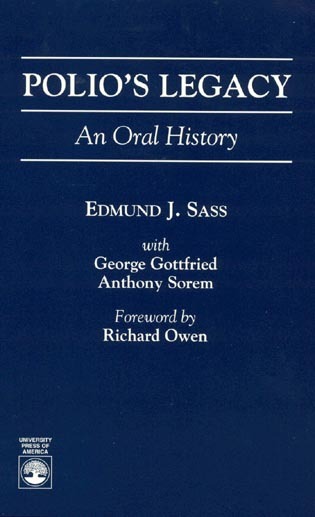 The book begins by examining the 18th and 19th century origins of the modern state-based medical regulatory system, including the reinstitution of licensing boards in the latter part of the 19th century and the early challenges facing boards, e.g., license portability, examinations, physician impostors, inter-professional tensions among physicians, etc. Medical Licensing and Discipline in America picks up the story of the Federation and its role in the major issue of licensing and discipline in the 20th century: uniformity in medical statute, evaluation of international medical graduates, nationally administered examinations for licensure, etc.